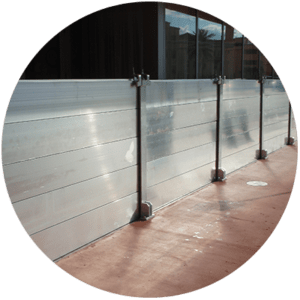 Flex Membrane | Flood Barrier Inc. 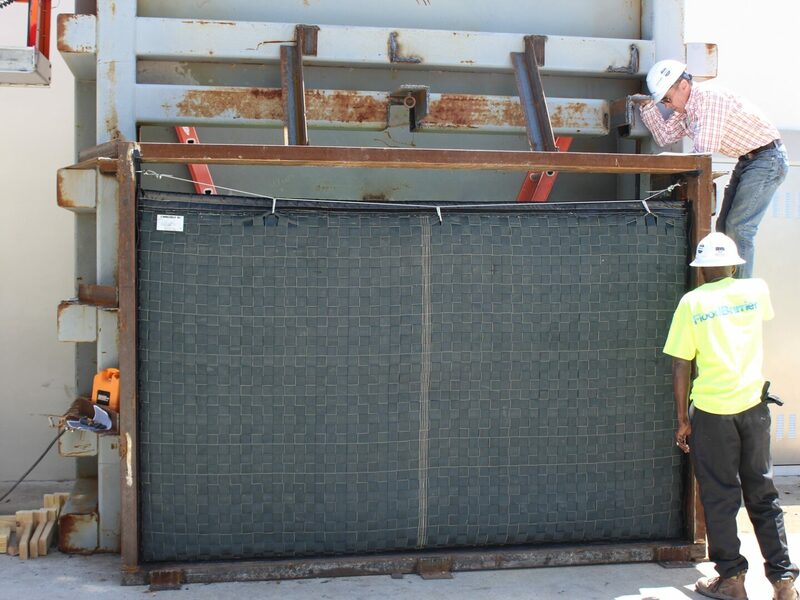 Among the easiest, lightest a fastest to deploy, we believe that FloodBarrier’s Flexible membrane systems are the best in the world. 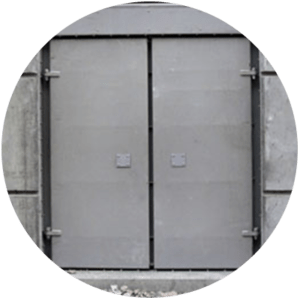 From a single doorway to a multi-lane tunnel entrance, our flexible systems are ridiculously strong, amazingly watertight and very easy to deploy. 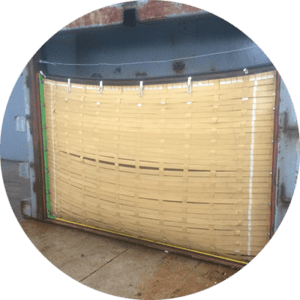 The material utilized in our system is based upon Honeywell’s Spectra Fiber, a UV Stable lightweight ultra-strong fiber woven to FloodBarrier specifications and coated to ensure a long-term waterproof material. Spectra fiber’s lightweight strength and versatility make it an ideal solution for virtually every rope and cordage requirement. 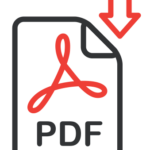 One of the world’s strongest and lightest fibers, pound-for-pound, it is fifteen times stronger than steel, more durable than polyester, and has a specific strength that is 40 percent greater than aramid fiber. 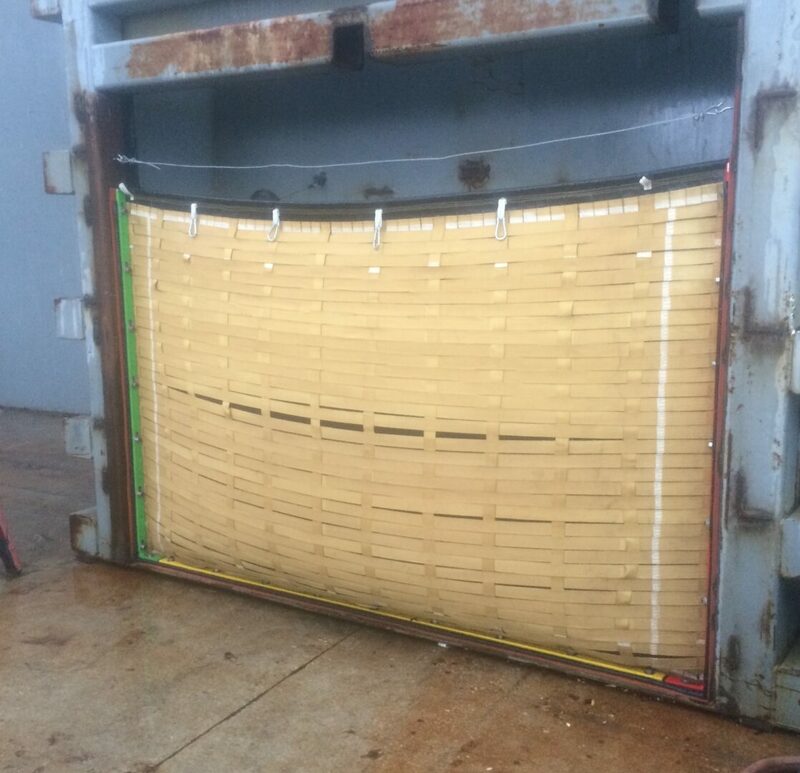 Hydrophobic, so ropes will not absorb moisture or deteriorate in water Naturally buoyant, making it ideal for various marine and offshore uses No corrosion, superior chemical resistance, increased abrasion resistance and excellent flex fatigue, meaning products last longer and maintenance costs are lower. Mated with ultra strong metal materials with known engineering, this is the best flexible membrane for your needs. When stored properly, the life expectancy of this product is between 15-20 years. Depending on the system selected, our flexible membrane systems practically deploy themselves. 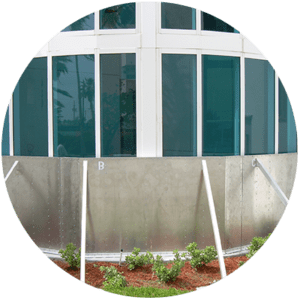 We offer vertical, side and overhead deployment systems and are working with a national U.S. commercial door manufacturer to design Irma into the door as an integral flood system.